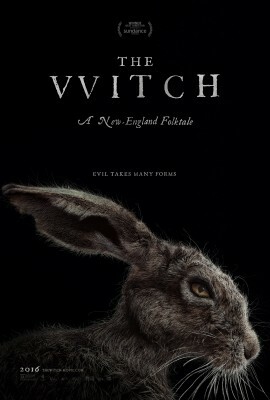 Delving into the harsh, unforsaken world of 17th-century New England, The Witch takes a unique look at the classical portrayal of satanism and witchcraft. The Witch follows the story of a family excommunicated from a Puritan plantation and forced to make a new living in the rugged wilderness. While its representation of early settler life seems spot on at times, from showing the hours of hard labour put into starting a farm to depicting the period’s emphasis on religion, the success of the film as a horror flick is less apparent. Made worse by a slow start, the film unfortunately relies too much on musical cues to provide cheap jump scares for at least the first half of the movie. Even with a well-established atmosphere, The Witch has only a few exceptionally unnerving scenes in it. The substandard plot is easy to follow and by the halfway point, you’ll likely be able to predict how the movie will end. Even before the last twenty minutes of the film, it’s easy to see The Witch’s most noticeable plot-twist coming. Despite the family’s characters being well-developed and realistic, The Witch gives little background to the monster of the movie’s namesake. But this is to be expected and the little bit of mystery adds to the suspense; certains traits of the witch in question, such as animorphism (shapeshifting into animals), leave the audience wanting to know more about the mysterious backwoods woman. This isn’t to say that the film’s portrayal of witches is a necessarily bad one. In fact the first encounter with the witch could quite easily qualify as one of the film’s most legitimate creepy scenes, depicting something far different from the broomstick-flying old women we usually picture in our heads. Yet the few minutes the audience does spend in the presence of the witch don’t do the character the justice she deserves. Instead of making the witch herself more terrifying, the film plays off the atmosphere a bit too much and you’ll be done with being scared by the music alone by the end of the film. While definitely not the best horror movie out there, the setting and unique representation of witches and puritan life still make for an interesting, if a little slow, movie. One that, in regards to being a horror flick, had the potential to be something so much more.